Fast becoming the established alternative to welding when dealing with steelwork fabrication involving blind box sections. Its many advantages include speed of application, ease of use, no special skill, tools or equipment required and the reassurance to know that when correctly fitted the Peg Anchor Molabolt is at least as strong as a standard bolt. It has been used in many high profile developments throughout the UK and now boasts many committed customers. a critical dependency on locking agents or low tolerance to locking torque. The Anti-Vibration Molabolt can also be used for fitting soft or fragile materials such as aluminum or glass. This Molabolt can be unlocked, and removed if required. As with other Molabolts its advantages over any alternatives are speed and ease of application, and no special skill or tools are required. Eliminates the need to repair or discard expensive components because of thread damage and also reduces downtime and assembly time to a minimum. Available in two versions for permanent and temporary repair. For urgent maintenance demands the Threaded Bypass Molabolt also comes in a handy kit form. The Molabolt benefits of speed and ease of application and no special skills or tools required also apply to the Thread Bypass Molabolt. Particularly suitable for corrosive environments such as in shipping and dockside equipment. Also where machine stoppages need to be cut to the minimum. Those involved in automotive engine, chassis and body work restoration also find this Molabolt invaluable. The Molabolt concept can be applied to many and varied applications. We can provide advice and are willing to develop new solutions that apply the Molabolt principles. Our standard bolts are manufactured in 8.8 zinc and clear steel, these can either have a galvanised or Dorreltech finish. 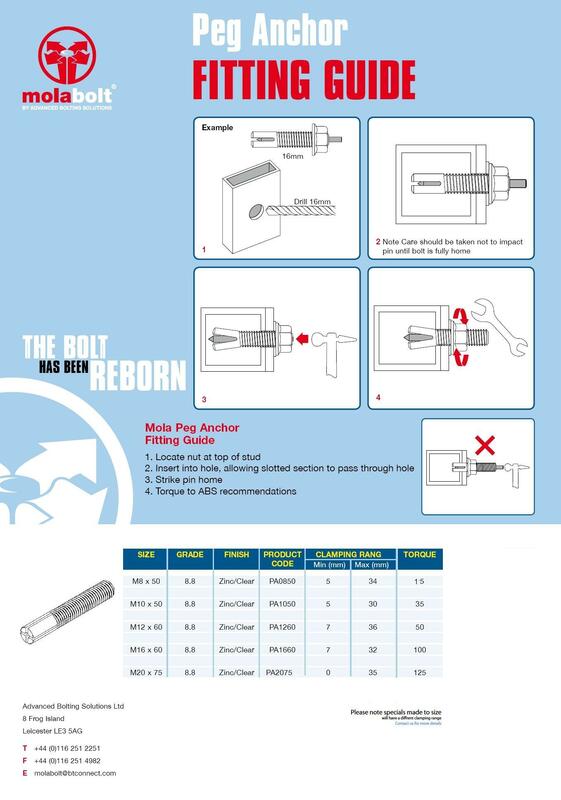 The bolts can also be produced in stainless steel.